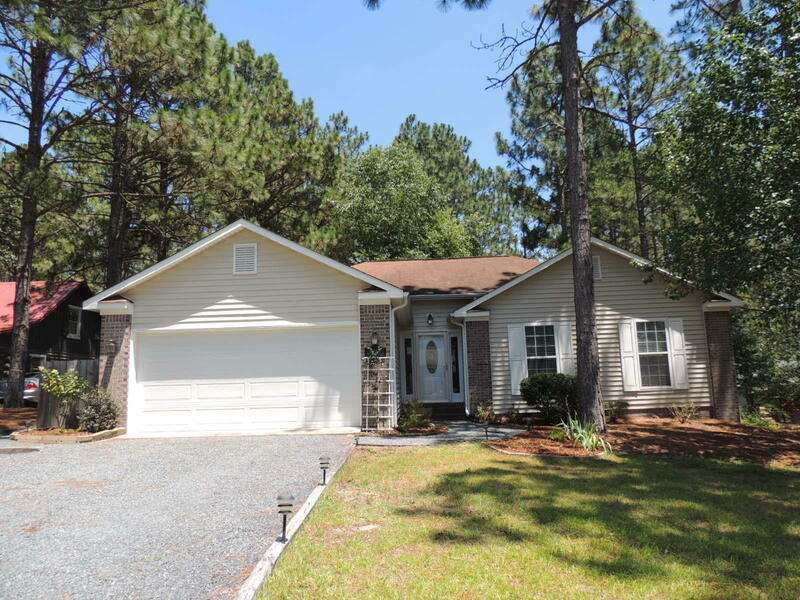 Terrific rental home in Pinehurst offers 3 bedrooms, 2 bathrooms, a single level floor plan, hickory hardwood floors, completely remodeled kitchen in 2013 features all stainless appliances, a built in wine rack, tile back splash & a pantry. This home offers neutral paint colors, garden tub, walk in shower & walk in closet in the master bedroom, a gas log fireplace, a screened porch, large back deck, fully fenced backyard, plenty of parking, easy maintenance yard, quiet street and just two blocks from a wonderful sidewalk that connects you to the Village of Pinehurst and to the area Greenway Trail. Terrific location near schools, parks, grocery stores, restaurants, hospital, & walking trails. Home is pet friendly and will be available as of 3/1/19.